Stepping into FOC PIM PAM at Orchard Road, located just beside Orchard Hotel, it reminds me of the numerous Spanish bodegas that is found along the streets of Spain. The revamped restaurant now features a Tapas Bar, Main Dining Room, Private Room, Bar and Terrace. We started at the Tapas Bar for some drinks and tapas. The Cherry Gazpacho ($6 tapas menu) is a welcoming starter that is served chilled. 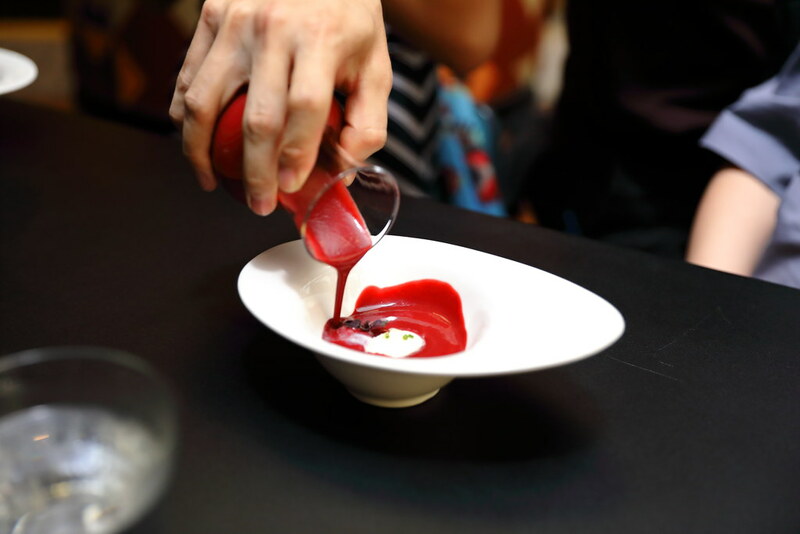 The cherry gazpacho soup is poured into a bowl which sits a smoked olive oil ice cream. It is a very refreshing combination that will whets one appetite. 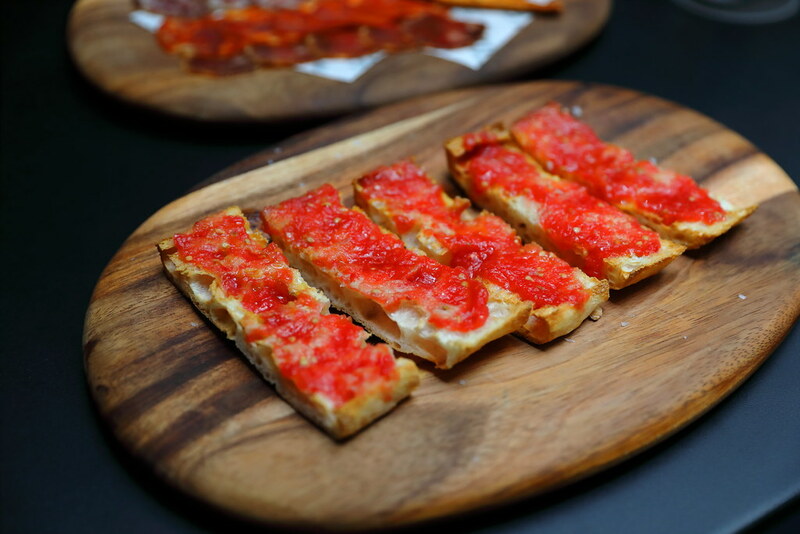 The Bread with Tomatoes ($6 tapas menu) brought back memories of my recent trip to Spain. I had this almost everyday for breakfast when I was in Spain. I am glad to know that FOC PIM PAM is serving it. The homemade toasted cristal bread is spread with grated tomatoes and drizzled with olive oil. I can also taste a hint of sea salt that perks up the flavour. Perfect to go with a drink or two is the Iberico Cold Cuts Platter ($13 half/ $24 full tapas menu). 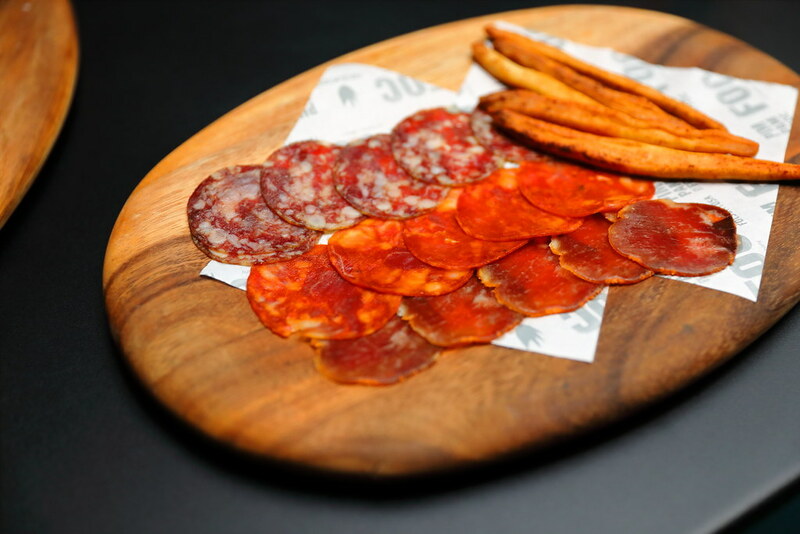 Our platter consists of Pork Loin 'Lomo', 'Salchichon' sausage, Chorizo and bread sticks. 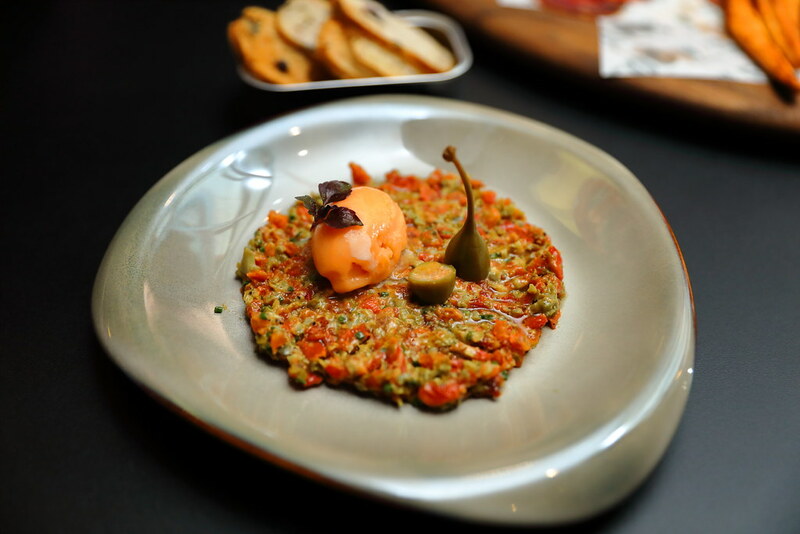 You can call the FOC Tomato Tartare ($19) a vegetarian tartare as it consists of a medley of confit tomatoes, chopped Morrocan caper berries, mustard mayonnaise, pickles, shallots and salt. It is then topped with a tomato ice cream. Having it alone can be quite sourish. So it is recommend to go with the tomato ice cream for a more balanced appreciation. 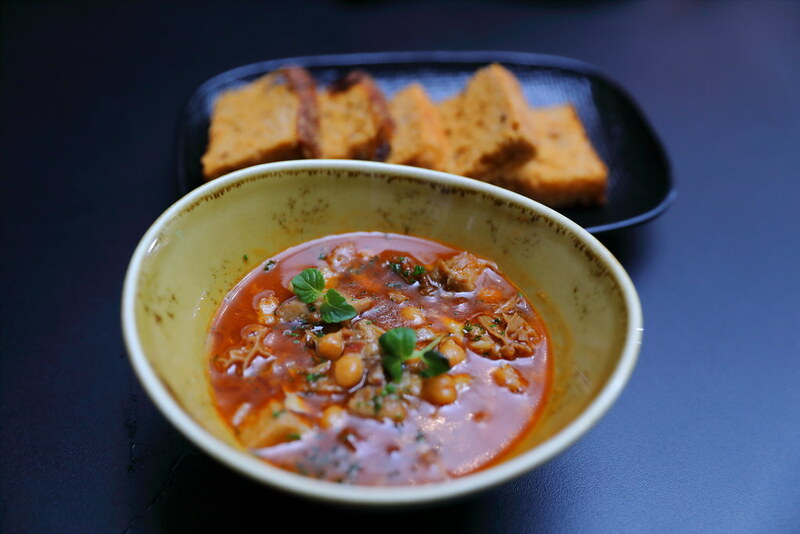 A hearty and comforting dish on the menu is the FOC Pig Tripe Stew ($12). The beef tripe, pig ears, trotters, cheek, head skin and pork belly are chopped into small pieces, and cooked with white wine and sofrito. Chorizo and chickpeas are also added. This is served together with housemade sun-dried tomato and sweet paprika foccacia. An unusual item on the menu is canned food. 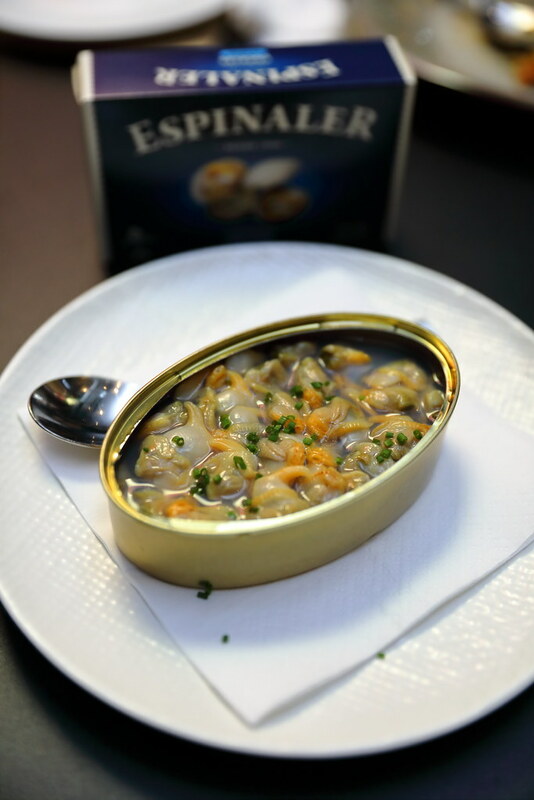 FOC has imported premium canned food such as the Espinaler Premium Cockles ($28 115g) and Espinaler Cuttle Fish in Olive Oil ($15.50 115g). It felts a bit weird to be served canned food in a restaurant and furthermore the price is not cheap. I am not sure whether this will work in Singapore. Saying that, the preserved cockles and cuttle fish turns out pretty tasty. 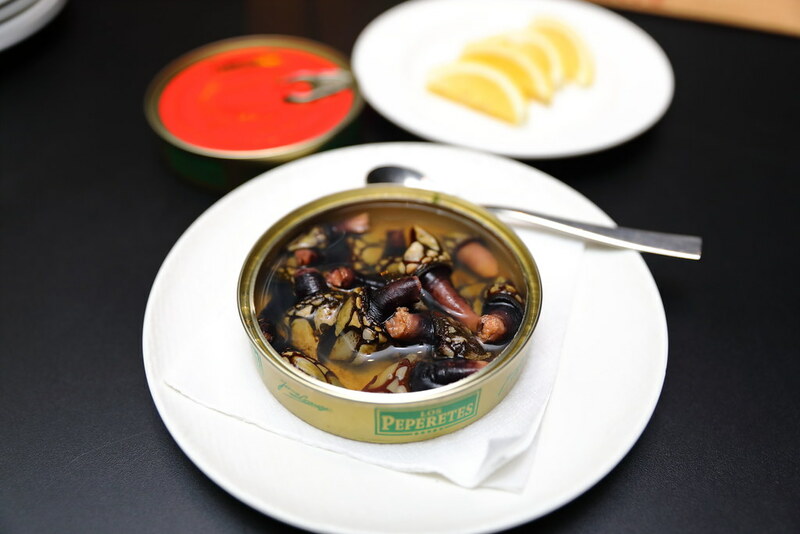 Currently not on the menu is the Los Peperetes Goose Barnacles. I have not seen or tasted goose barnacles, so I was curious and not sure what to expect. The texture felt a bit like top shell or escargot. 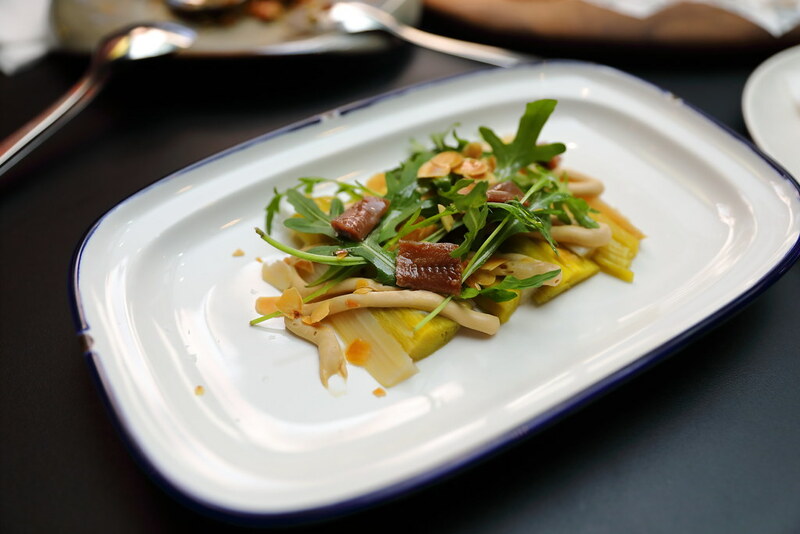 The Leek and White Asparagus Salad ($16) comes naked as the skin of the leek and asparagus are removed, retaining the soft and juicy interior. It is dressed in a butter soy cream and topped with some rocket greens and toasted almond flakes. 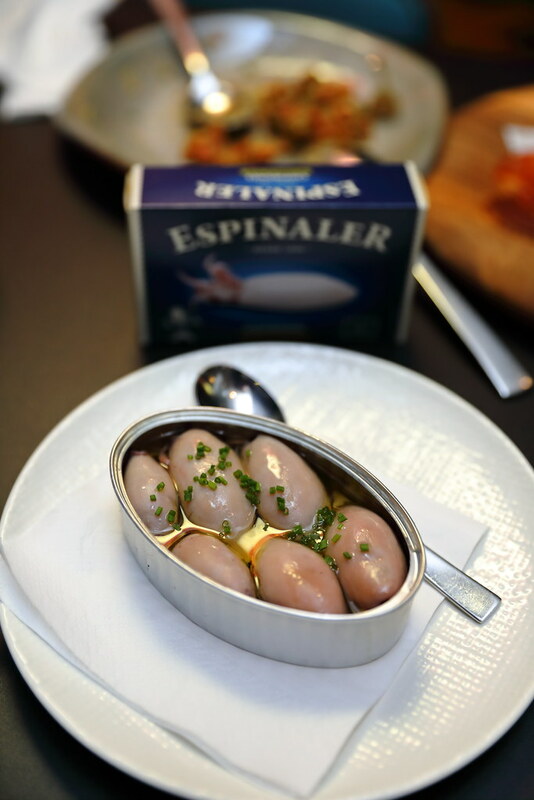 I enjoyed the accompanying Spanish anchoives that provide the needed acidity to the dish. 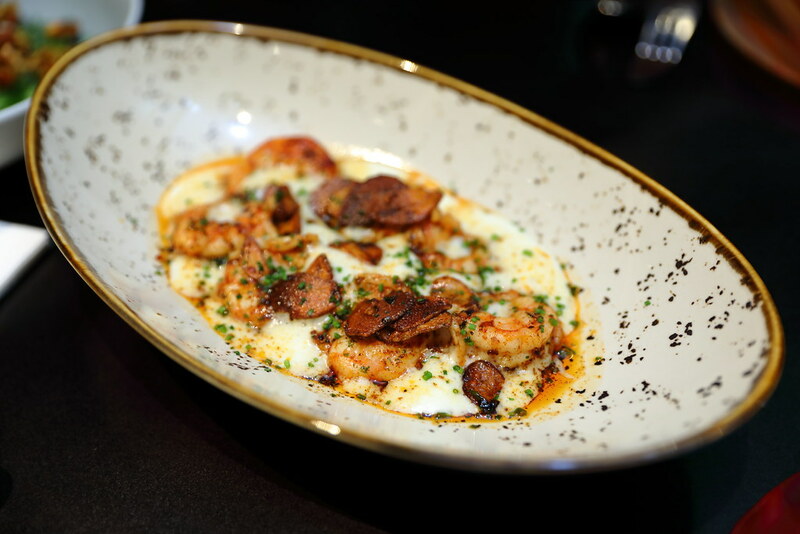 The prawns from the Prawns 'Al Ajillo' ($22 main menu) are big and juicy with a nice charred aroma, served on a bed of potato foam. However I find the garlic was a bit burnt, giving an unpleasant bitter finishing. 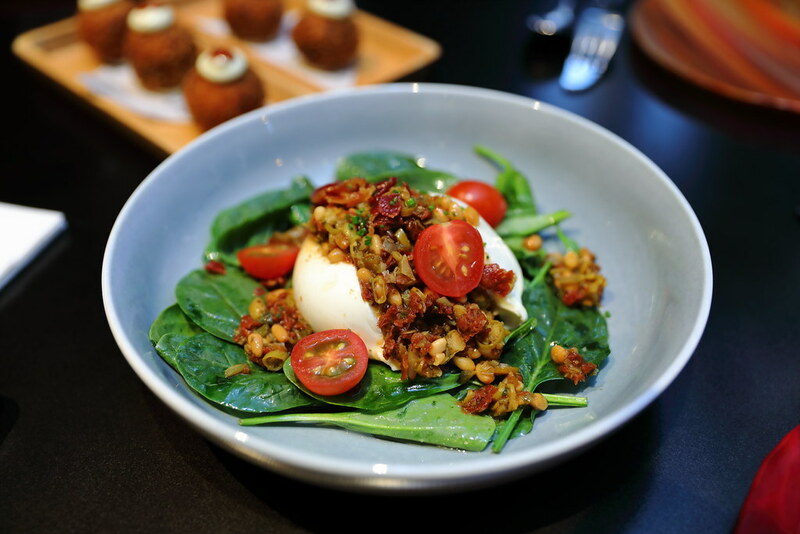 I applauded the extra effort in serving the Fresh Burrata ($22) with a picadillo of chopped sun-dried tomatoes, preserved piparra peppers, mint, pine nuts and extra virgin olive oil. It gives the creamy Italian burrata a more complex dimension with the extra boost in flavours and textures. Another staple dish in Spanish cuisine is their croquetas. At FOC, there are 4 choices of the PIM PAM Croquetas ($10-$12 for 4pc main menu). The choices are ham, mushroom, crab, spinach & pine nuts. 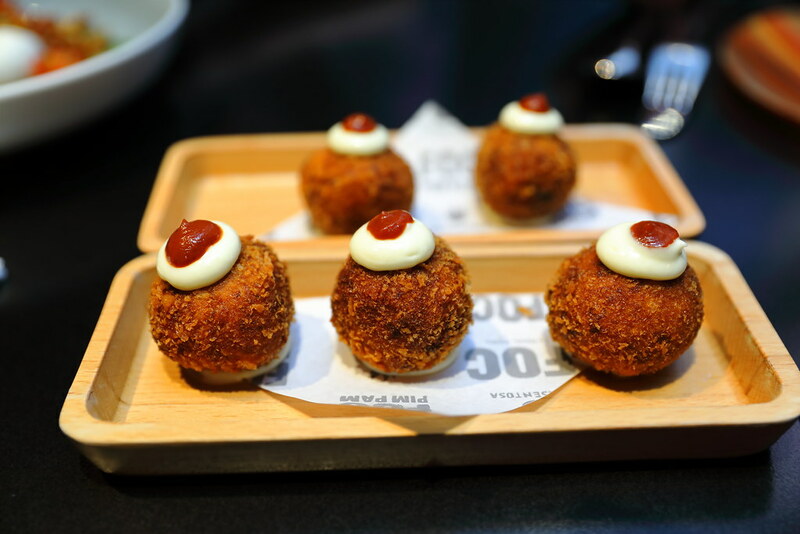 The croquetas are coated with panko bread crumb, deep fried to golden brown and topped with bechamel sauce. Soft inside and crispy on the outside, this is actually quite addictive. 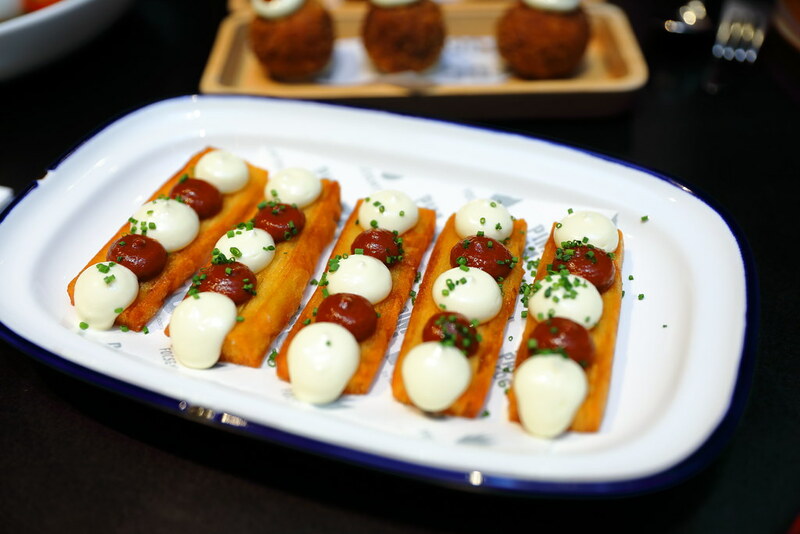 You probably cannot tell from the picture but the Potato Bravas ($10 main menu) is made from layers of thin potato sheet that has been sliced using a pasta machine. On the top of it is aioli, salsa brava and chopped chives. You will not regret having a few of this deep fried potato millefeuille. Its not life changing but definitely worth skipping the diet plan. 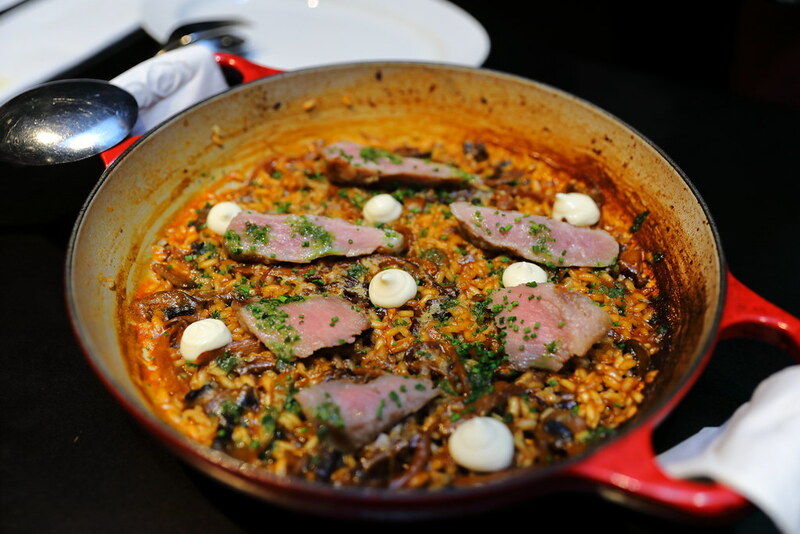 I am not a big fan of paella but I really enjoy the Iberico Secreto Pork & Mushroom Paella ($33). The bomba rice still retains an al dente bite which has soaked up the flavoursome chicken and pig trotters stock. It also comes with a few slices of tender iberico secreto pork, seasonal mushrooms such as ceps, oyster and button mushrooms. Making a spectacular entry is the Suckling Pig ($130 half 2.5kg) which is good for up to 4 pax. The 3-6 weeks old suckling pig comes from Segovia. 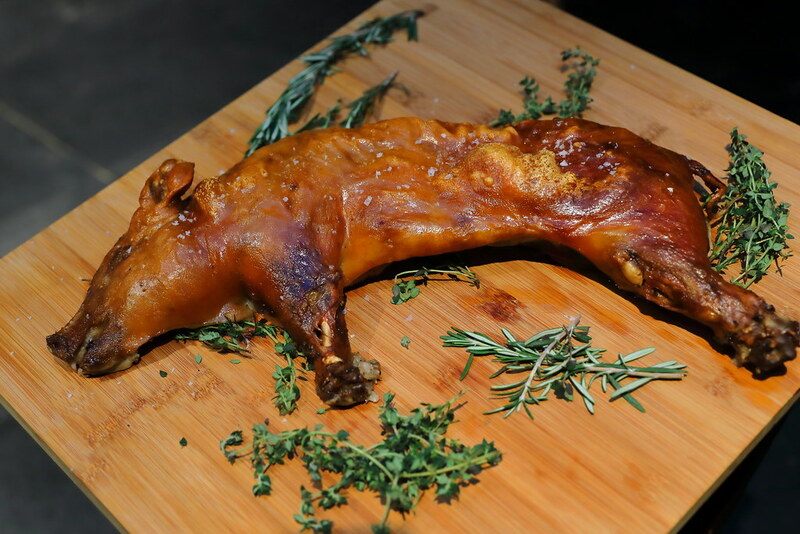 It is sous vide for 10 hours before roasting in a convection oven for 30 minutes. 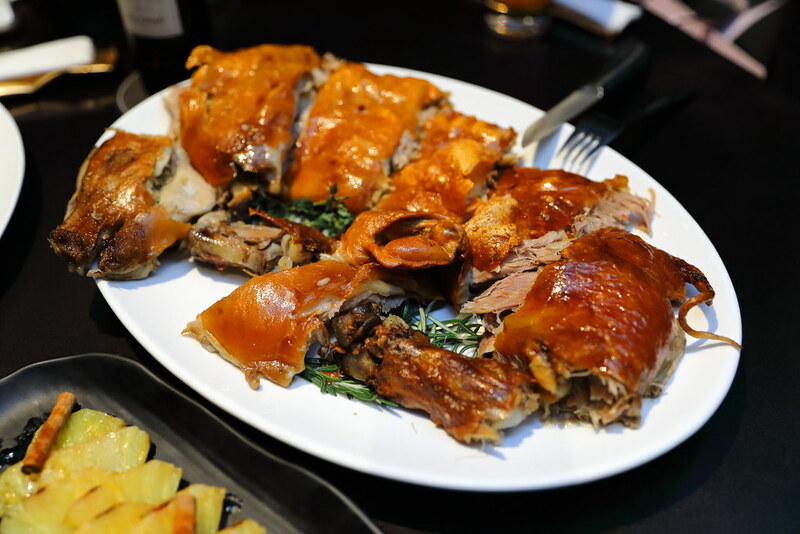 The result is a layer of crispy skin over the soft and juicy meat. It is so soft that the server can cut it using a plate. I know some people do not like the Spanish suckling pig for the acquire milky taste but I did not trace it here. We tried a number of desserts on the menu such as the White Chocolate Coated Churros, Spanish Torrija, Chocolate Forest and Lemon Lemoncello. My favourite is the Chocolate Forest and Lemon Lemoncello. 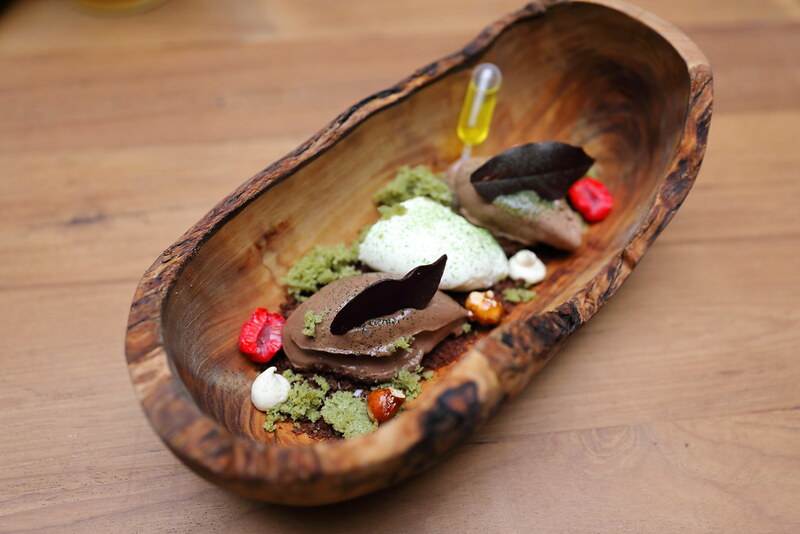 The Chocolate Forest ($16) is an appreciation of the different textures of chocolate in the form of cream, soil and leaf. The interesting part is in comes with a pipette of Arbequina extra virgin olive oil, that is supposed to be squeezed onto the dessert. My first time having chocolate paired with olive oil. The Lemon Lemoncello ($12) is a very pretty dessert. 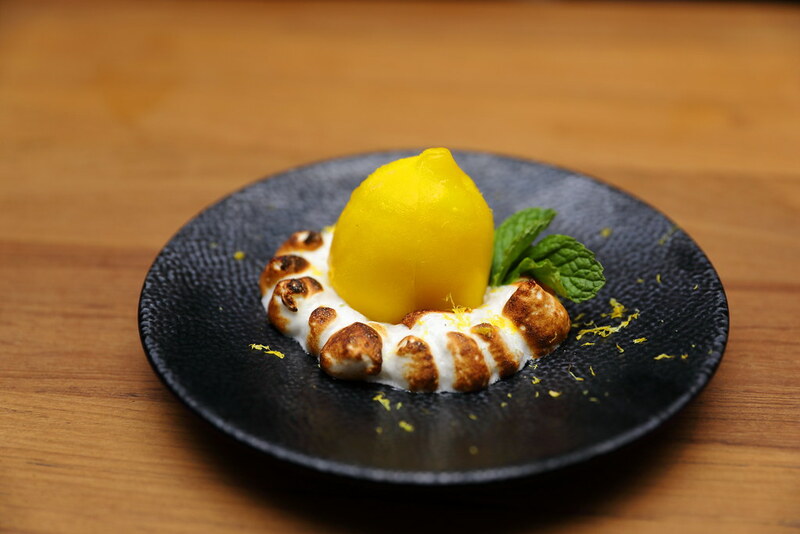 The combination of sweet and sour from the meringue and limoncello sorbet works harmoniously on the palate. I have visited several Spanish restaurants in Singapore but non has really quite impressed me so far. This has changed after visiting FOC PIM PAM. Not sure whether it is due to my recent trip to Spain and I can connect better with the cuisine. If anyone asked me for Spanish food recommendation, I would recommend FOC PIM PAM for now.